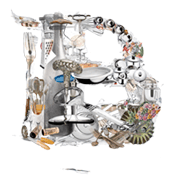 We invite you to Bouley Test Kitchen for an evening that will help you feed your brain! Regardless of your age, regardless of your health, you can regain the brain you once had. What you eat has a direct impact on your brain along the gut-to-brain axis. A healthy gut positively impacts the brain, while poor gut health can lead to brain issues, including dementia and Alzheimer’s. Join Dr. Robert Silverman as he shares what to eat to revitalize your brain, reverse the aging process, and create an environment that enables your brain to thrive. The presentation will be followed by a multi-course, brain-boosting dinner created by Chef David Bouley and a corresponding wine program by Beverage Director Adrien Falcon. Dr. Robert G. Silverman is a chiropractic doctor, clinical nutritionist and author of the Amazon No. 1 bestseller “Inside-Out Health: A Revolutionary Approach to Your Body.”As founder of Westchester Integrative Health Center, he maintains a successful private practice which specializes in the treatment of joint pain using functional nutrition along with cutting-edge, science-based, nonsurgical approaches. The ACA Sports Council named Dr. Silverman “Sports Chiropractor of the Year” in 2015. Dr. Silverman is also on the advisory board for the Functional Medicine University, a diplomate with the American Clinical Board of Nutrition, and a diplomate with the Chiropractic Board of Clinical Nutrition. He is a seasoned health and wellness expert and has appeared on FOX News Channel, FOX, NBC, CBS, and CW affiliates, as well as The Wall Street Journal and Talks at Google. As a frequently published author in peer-reviewed journals and other mainstream publications, including Integrative Practitioner, MindBodyGreen,Muscle and Fitness,The Original Internist, Thrive Global,NewsMax, and Holistic Primary Carejournals, Dr. Silverman is a thought leader in his field and practice.